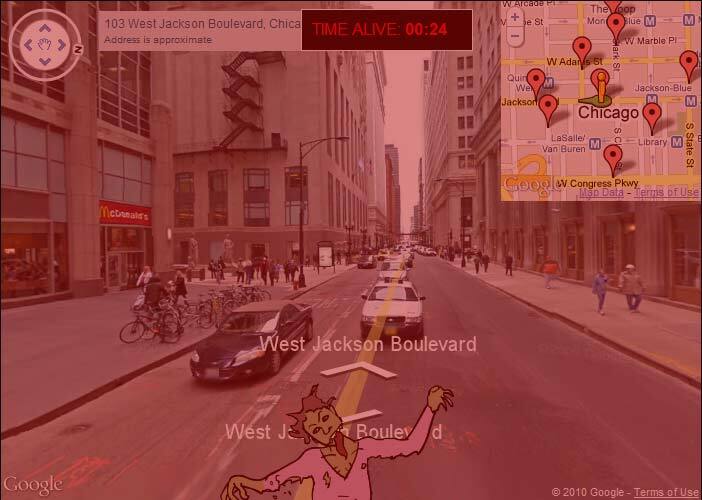 This simulation lets you try to outrun randomly placed zombies on a Google streetview. The execution is simple but it emphasizes an important survival skill in a zombie crisis: the ability to quickly develop new routes when traveling. Often, your planned route will be cut off due to the presence of a horde, violent human survivors, fire, or some other hazard. Instead of stopping, you should keep moving even if it’s wrong direction. Don’t let thoughts of getting to your destination overwhelm your most important goal: staying alive.